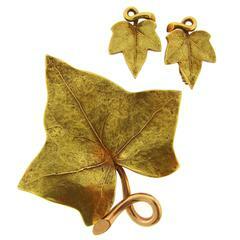 Green and gold glass clip earrings inspired after a bunch of grapes from French design house Francoise Montague. 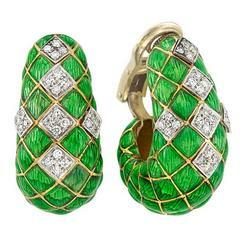 Green and yellow clip earrings in a figure 8 shape with gold chain and Swarovski crystal rondelles from Francoise Montague. 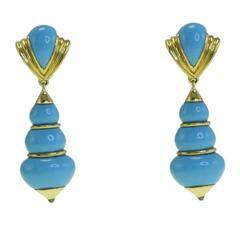 Iconic earring style from famed jewelry design house Francoise Montague. 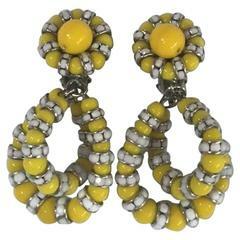 Made with green vintage beads and Swarovski Crystal roundelles. 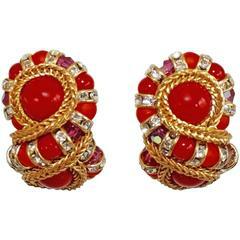 Red clip earrings in a figure 8 shape with gold chain and Swarovski crystal rondelles from Francoise Montague.